Seems like it's not the last pill yet. Yesterday being the first day of a new month, it didn't start well for me. Everything was alright in the morning, I wore my new big headphone and using my PSP as an mp3 player for the first time. Little did I realise that was actually a "calm before a storm". During my break time, I followed my friend's order and ordered Fish & Chips. After ordering I felt like changing the order because it reminded me of Botak Jones Fish & Chips, which comes in big serving even though it's only a regular meal. Shortly after the meal, I got queasy and uncomfortable. In the air-con room I felt even worse, time to time I've to get out of the room and take a deep breath. I managed to survive till the end of the lesson but the queasy feeling still lingers around, it's so terrible! I went home and immediately experienced diarrhea, shortly after I vomited my lunch onto the basin. I assure you, it's freaking disgusting! 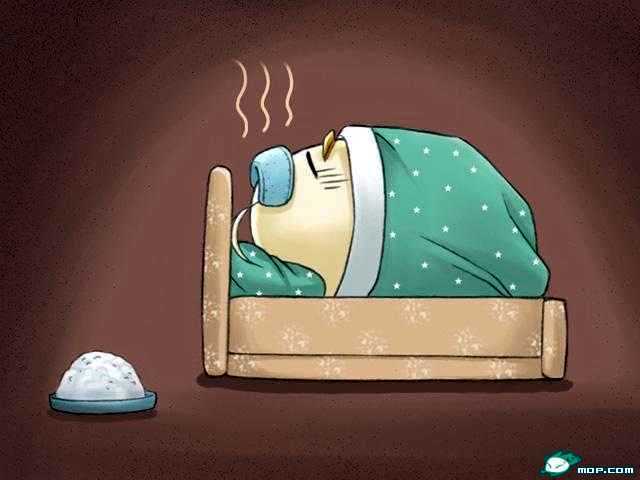 I even got headache and my body started to feel warmer and warmer, then I knew that the fever monster is "revisiting" me. This is my 3rd time of this year getting sick. $96, $49.50, $43 spent respectively. I feel so...so guilty and sorry towards my parents again and again. Why am I suddenly so weak? Was it because I wasn't sick for a long period of time and now when I'm sick "they" just keep on coming? Perhaps I should start eating plain food and avoid fried and junk food from now on. Take it as a punishment for myself.